Sunday 21st October at the Ktima Kokotou Winery. Please note there will be NO service at St Paul’s on that day. Tickets: 15 euros per person (10 euros children 3—10 years, toddlers free). (Family Ticket – 2 Adults + 2 Children 3 – 10 years – 40 Euros.) 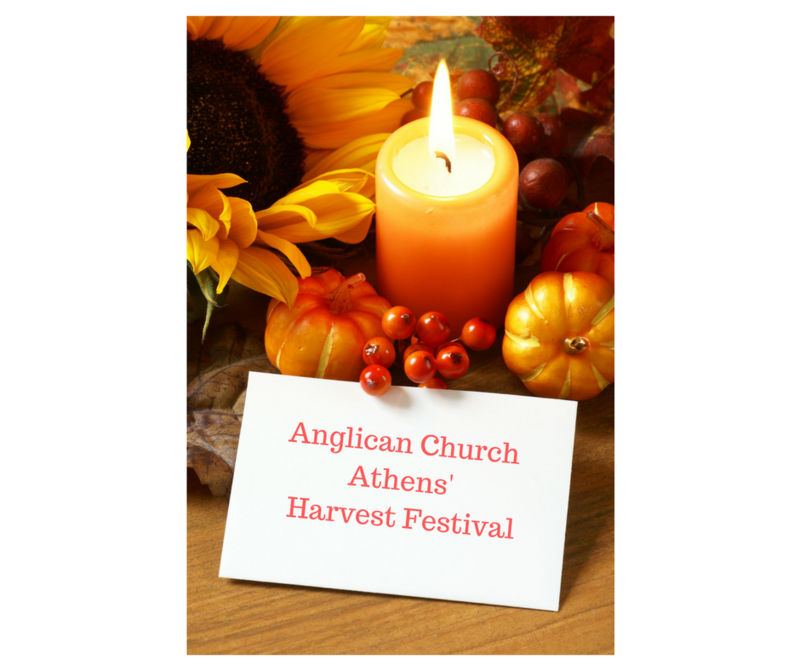 All proceeds to the Greater Athens Anglican Chaplaincy. Athens area tickets available from Lynn Stavrou. In memory of Janet Halvantzi, her family have paid for a bus (which will be free of charge) to pick people up OPPOSITE St. Paul’s, Filellinon Street, departing PROMPTLY at 09.45hrs on the Sunday morning. Please ensure you are there in good time to avoid missing the coach. We will be unable to wait due to time constraints. We will depart from Ktima Kokotou Winery at 3.45 p.m. to return to St. Paul’s. If you /your family / friends would like to travel by bus, please could you add your name to the sign-up sheet at the back of Church. RESERVED SEATING WILL CLOSE ON SUNDAY, 14TH OCTOBER.